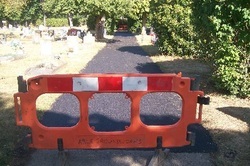 tarmac in. To spread and lay a tack coat (adhesive). 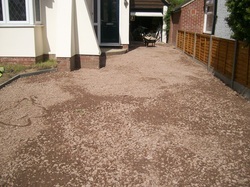 After: To lay and roll a 10 mm hard stone wearing course (tarmac) thickness 30-40 mm when compressed. To dig out area depth of 250-300 mm. 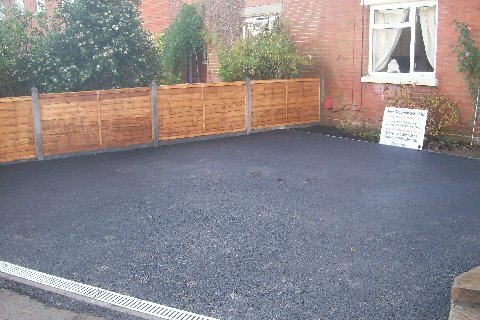 To instate new concrete fence posts, new concrete gravel boards, new fence posts along boundary. 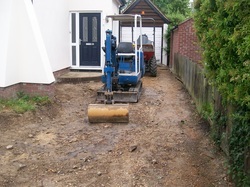 To instate acco drains at front of drive and pipe work to soakaway. To instate concrete edgeings at front of drive. To lay a geotextile membrane. To lay and compact MOT type 1 scalpings. 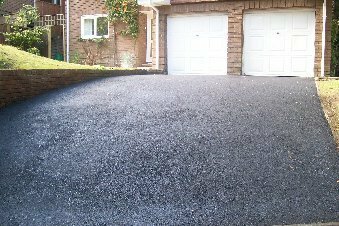 To lay and roll a 20 mm hard stone binder course (tarmac), thickness 50-60 mm when compressed. 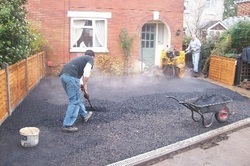 To lay and roll a 10 mm hard stone wearing course (tarmac) , thickness 30-40 mm when compressed. 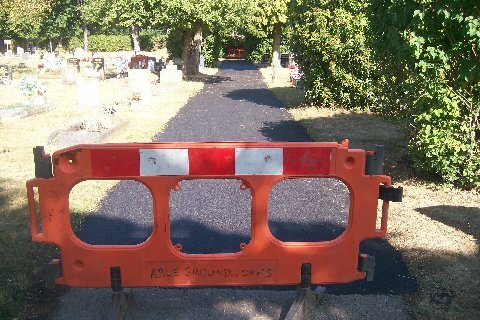 To grade and level up footpaths. To lay and roll a 6 mm hard stone wearing course (tarmac), thickness 30-40 mm when compressed. 1. 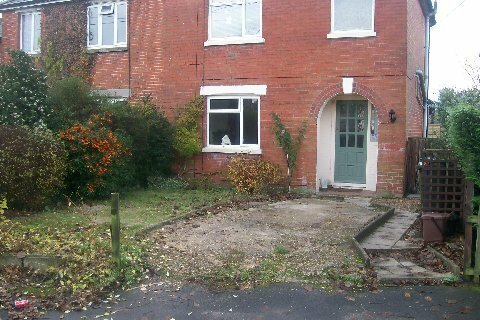 To take up exsisting drive way and widen. 2. To instate a new boundry fence. 3. To instate a soakaway. 4.To lay a Geotextile membrane. 5. 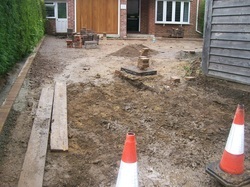 To instate concrete edgings with a gen 1 concrete mix. 6. To instate Acco drains at front of drive in a gen 1 concrete mix and pipe work to soakaway. 7. To lay and compact MOT type 1 scalpings. 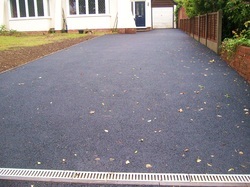 8.To lay and roll a 20mm hard stone binder course thickness 60-80mm (Tarmac). 9. To lay and roll 10mm hard stone wearing course thickness 40-50mm. 1. 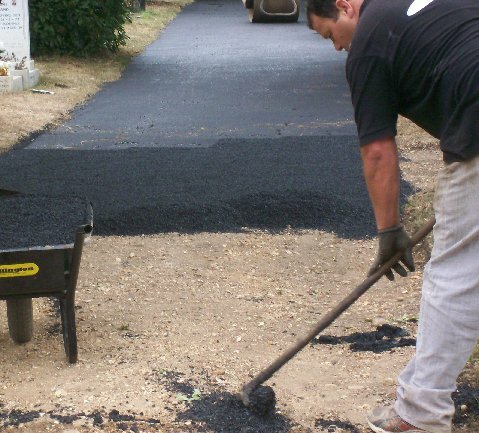 To take up exsisting Tarmac. 2. To grade up area. 3. To lower inspection chamber. 4. To instate Marshall blocks around perimeter of drive in Harvest Gold (colour). In a gen 1 concrete mix. 6. 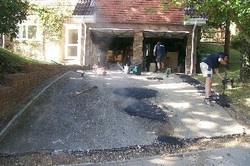 To spread and lay st1 concrete mix at front of drive area thickness of 100-150mm. 7. To lay and compact type1 scalpings. 8. To lay and rol 20mm hard stone binder course thickness 60-80mm. 9. 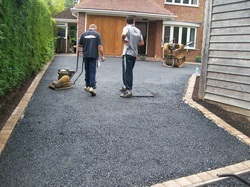 To lay and roll 6mm hard stone wearing course thickness 42-48mm. 1. To instate concrete edgeings in a Gen 1 concrete mix. 2. To dig out any high areas. 3. To instate accos drains. 4. To spread and lay a tack coat (adhesive). 1. To dig out exsisting driveway and lower depth of 300-350mm. 2. To instate concrete fence posts in a ST1 concrete mix. 3. To instate concrete gravel boards and 6ft fence panels. 4. To instate concrete edgeing in a Gen 1 concrete mix. 5. To instate acco drains at middle and front of drive. 8. To lay a Geotextile membrane. 9. To lay and compact MOT Type 1 scalpings.